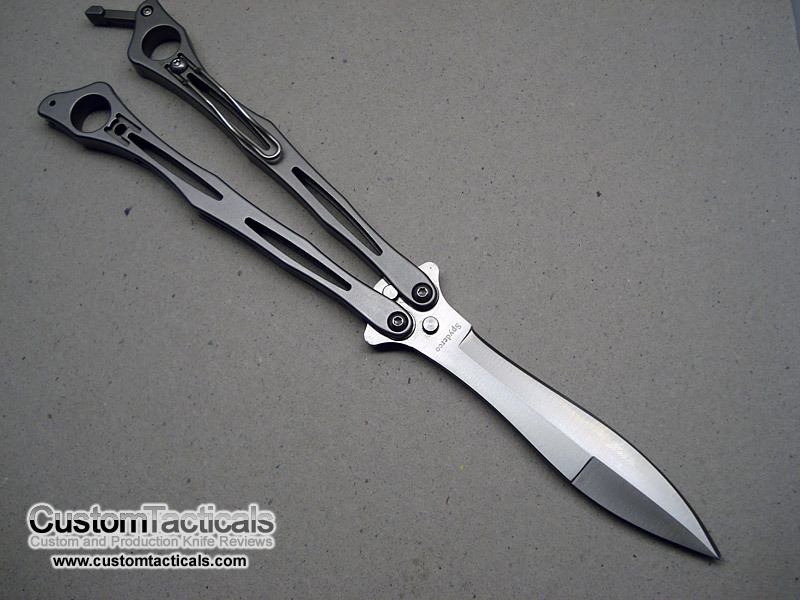 I’ve owned several Butterfly knives, and dollar for value, the Spyderfly is probably one of the best bang for buck Balis that I have seen. It’s unique design makes it a bit of an acquired taste for some, but with my limited flipping ability, the knife still acts like a Bali when I flip it. The Spyderco Spyderfly combined a VG-10 Steel blade with bead blasted cast stainless steel handles. The unique handles of the Spyderfly screams Spyderco inspired design, and the spring loaded t-latch is easy to pop open with just a squeeze of the handles. 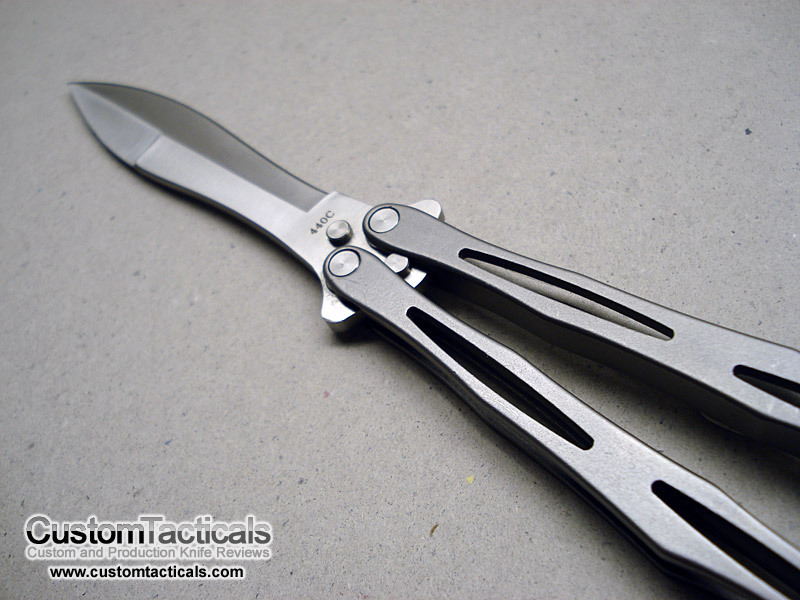 The Spyderfly is considerably cheaper than other Balis of comparable quality, and part of the reason is the cast handles. They provide lots of weight and reduce production costs and parts count since they are one-peice, and do not require screws to hold them together. The blade is held to the handle by screws and bushings, and fit and finish is excellent given the price point. I’m not an experienced bali-flipper, but I felt that this one balanced quite well and felt good in the hand, even with its odd looks. The VG-10 steel recurved dagger blade is razor sharp out of the box, as is typical of all Spyderco Knives I’ve purchased. Overall the Spyderfly definately feels like a quality peice, and has a great sharp blade. I didn’t really try cutting anything with the Fly, aside from my arm hairs. 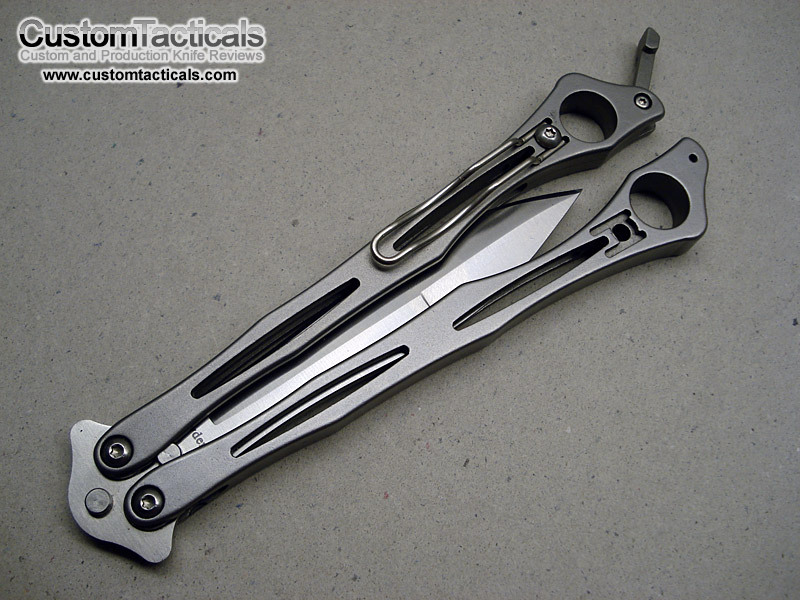 Based on the quality of the construction, blade steel, and general fit and finish, I think the knife is an excellent value and a must-buy for anyone in the market for a unique Butterfly knife. The Spyderfly has since been discontinued, but is readily available on the secondary market. Hello, would you be so kind to inform me where i can buy Spyderco Spyderfly and not the Smalfly! is it possible via Internet? and could you tell me the address of the website, where i can buy it online and the price as well. George, Unfortunately they no longer make the Spyderfly. Spyderco does make other similar butterfly knives but they are only available to law enforcement and emergency personnel via their Serve and Profect catalog.